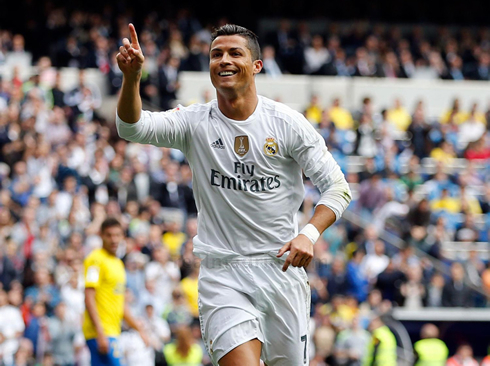 ﻿ Real Madrid 3-1 Las Palmas. Keeping the tempo high! 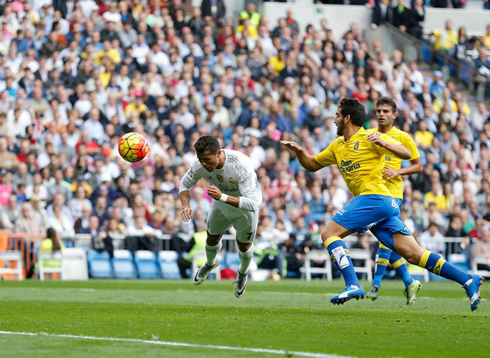 31.10.2015 » Real Madrid 3-1 Las Palmas. Keeping the tempo high! Real Madrid did what everyone expected from them this Saturday's afternoon, as they hosted and defeated Las Palmas with ease by 3 goals to 1. Isco scored the opener, just before Cristiano Ronaldo and Jesé Rodríguez also scored a goal each before break to secure the 3 points and the leadership in La Liga. With Kiko Casilla deputizing for the rested Keylor Navas, Real Madrid set out early to make their mark. Casemiro's through ball in the 4th minute went just past the outstretched leg of Ronaldo, but Isco was there to pick it up and place a left-footed strike into the corner of the net and past Javi Varas. 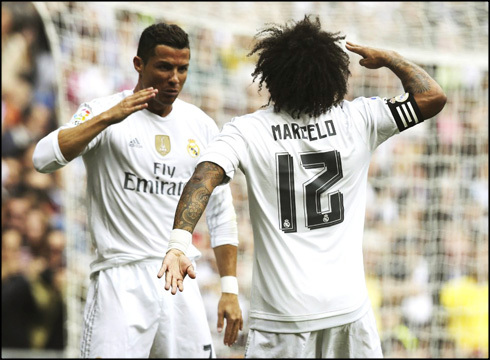 Ronaldo would also get on the scoresheet a few minutes later, but this time with a brilliant diving header from a well-placed Marcelo cross. It was the 8th league goal for Cristiano Ronaldo and he's now tied at the top of La Liga with Barça's superstar, Neymar Jr. However, Madrid would fail to seal the match and Las Palmas would get on the board in the 38th, through a header from Hernan bouncing off the crossbar and which evaded Kiko Casilla's reach. It was only the 4th goal Real Madrid have allowed all season, but it did show a lapse of concentration from the whites. However, it didn't take that long for the 2-goal lead to be restored. 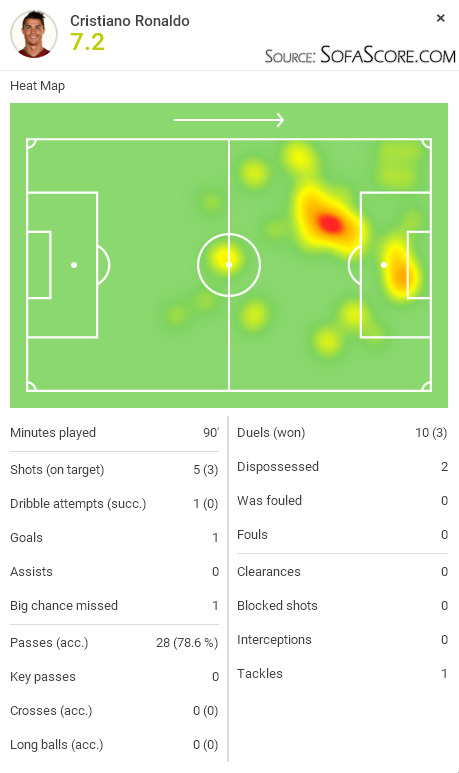 In the 43rd minute, Jese Rodríguez, who's been on a brilliant run of form as of late, shook two defenders in the box and placed a shot right into the corner of the net to make it 3-1 for the hosts. Up next for the Merengues will be the French champions PSG, with the good news being the highly anticipated returns of Karim Benzema, James Rodríguez and possibly Gareth Bale. Attackers: Jesé Rodríguez, Cristiano Ronaldo. 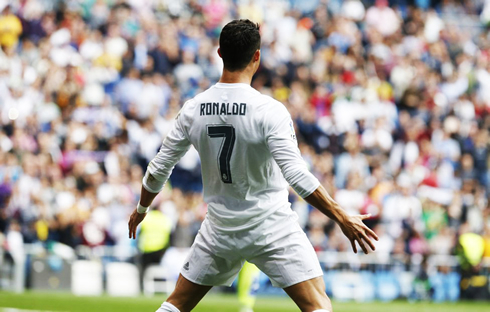 Cristiano Ronaldo next game will be for Real Madrid on the 3rd of November of 2015, against Paris-Saint Germain. You can watch Juventus live stream, Real Madrid vs PSG, Getafe vs Barça, Everton vs Sunderland, Southampton vs Bournemouth, and Hamburger vs Hannover, all matches delivered in our live sports game pages.